Travis Scott wasted no time in revealing his upcoming ‘Birds Eye View’ Tour on his social media channels. With excitement obviously brewing from fans, we now receive the full list of cities and dates for the highly-anticipated show that follows up the Epic Records rapper’s massively successful Birds In The Trap Sing McKnight album. 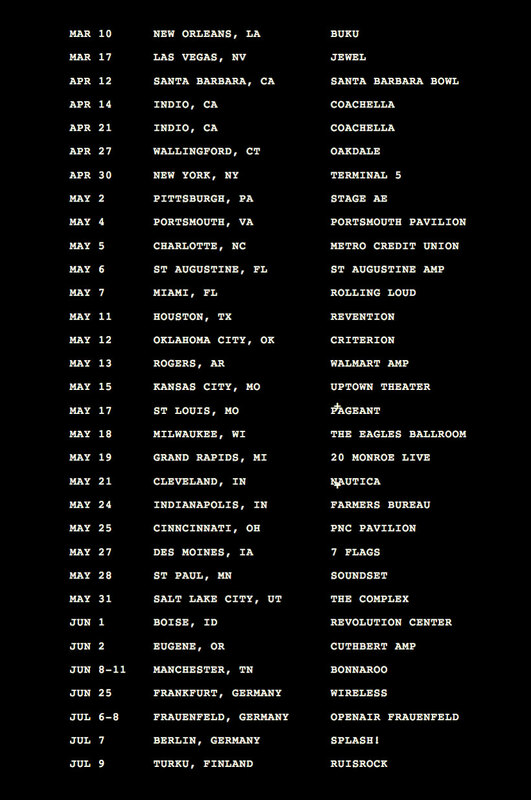 View the dates and cities below and head on over to Travis Scott’s official site to buy tickets. Stream Travis Scott's Leaked Track, "The Curse"
Consisting of six styles that are either scribbled or streamlined. Ending a seven-year break from touring.